Active Grab Hire is a highly professional groundworks contractor offering a fast efficient and cost effective groundworks solution and service which is available to domestic, commercial and industrial clients. Groundworks contractors are usually required for the first phase of construction projects. We are well equipped to carry out ground preparation tasks from site clearance and ground stabilisation to drainage prepping, site waste removal and delivery of aggregates. Before you commence your construction project we will ensure all your groundwork's are carried out to your entire satisfaction, respecting any agreed time restrictions, budgets and other specifications relevant to ensure the next phase gets started without delays. With extensive experience behind us and many groundwork projects completed, we have the team to meet your expectations. Although based in Ashford we provide groundworks solutions to Middlesex, Surrey and the Greater London area. Our fully qualified team ensure your groundworks are carried out to the highest quality, delivered on time and on budget, providing a cost effective solution to all your projects. As a commercial groundworks contractor we work closely with local property developers, small and large businesses, local authorities, highways agencies, utility companies and many more private and public bodies who require our groundworks services. 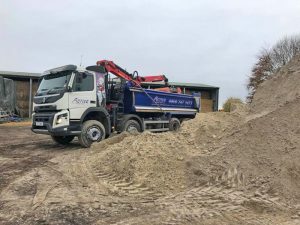 Our highly skilled team of commercial groundworks operatives use well maintained plant and equipment to ensure your groundworks projects are delivered on time and within budget. 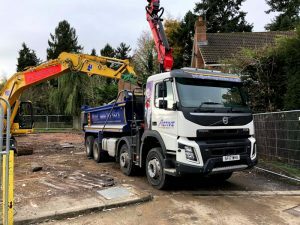 Our residential groundworks services offer excellent value to our residential clients and home owners looking to carry out any number of groundworks tasks such as laying new driveways, earth removal, new drainage systems, landscaping, tarmacking or simply to removing builders waste and rubble. No residential groundworks project is too big or too small as we apply our skills equally what ever the project size. 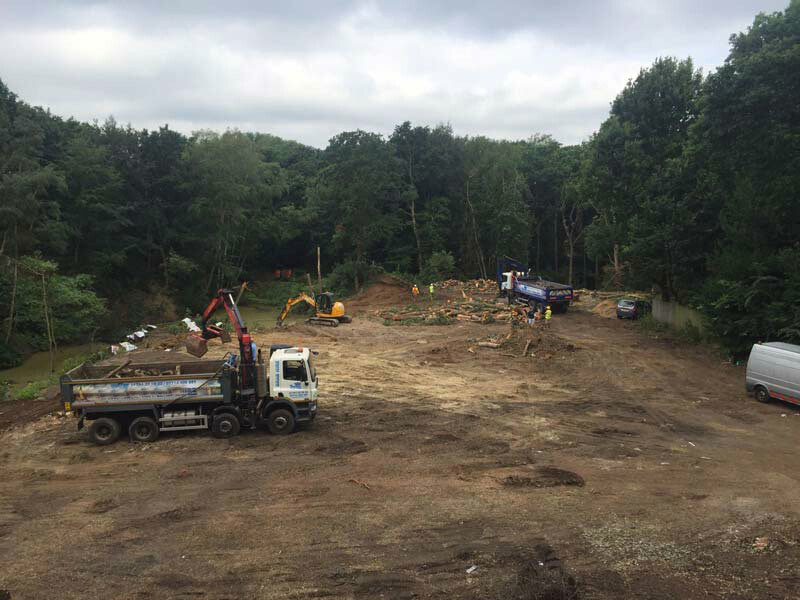 We offer a cost effective method of removing and clearing site waste including a modern fleet of grab lorries, diggers and haulage trucks. 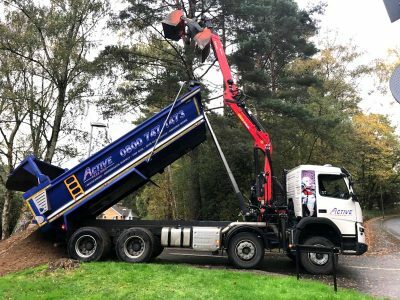 Our groundworks grab lorries can pick and remove larger amounts of waste then using skip hire, we carry approximately the same amount of waste as three skips making it a more cost effective solution. Our staff are professional and friendly and have all been trained in all aspects of health and safety. They are always clearly marked and visible whilst on site. Working with many local companies, industries, councils and home owners, we have established a reputation for providing extremely high standards of workmanship at very competitive prices. We are never happier when we carry out groundwork's for clients of the highest standards, on time and on budget. We would be happy to carry out any initial onsite analysis. 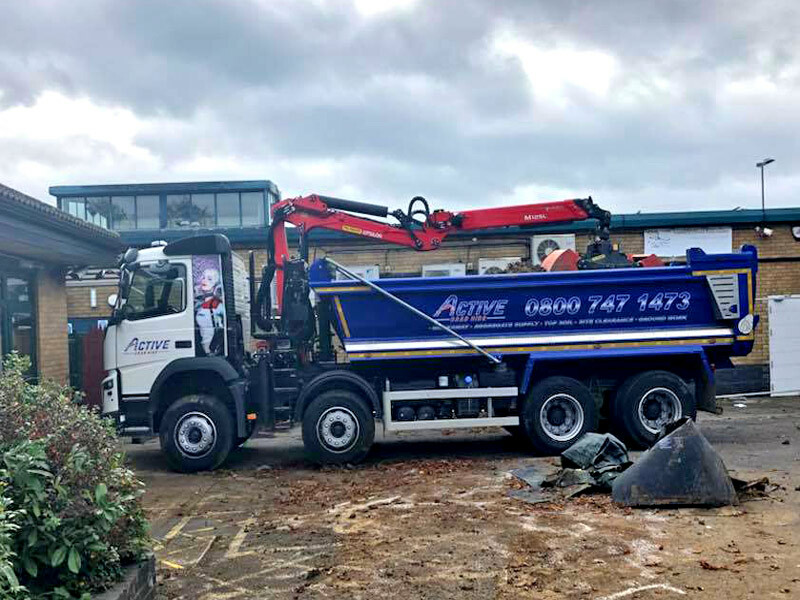 We will prepare a report showing the full extent of any works we agree to carry out for out you and our quotations are free of any charges or obligations, so please feel free to contact us at anytime and we will be happy to discuss your groundwork and grab hire needs. 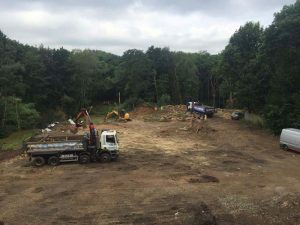 Are you looking for a professional groundworks contractor who offer their services throughout Middlesex and surrounding areas? If so then call the grab hire and groundwork specialists today on 01784 819193 or request a free quotation for a fast response to your groundwork enquiry.